MTA – Mobile Travel Agents has commenced a round of nationwide functions to say thank you to the hundreds of industry partners and suppliers for their support throughout the year. 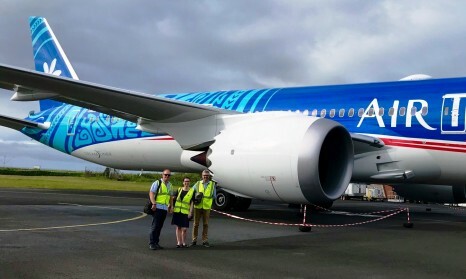 The aircraft – the first of four Boeing 787-9 Dreamliners Air Tahiti Nui is taking delivery of between now and mid-2019 – is now operating the airline’s Papeete-Auckland route until 31 March 2019, offering passengers a new three-cabin configuration that for the first time includes Premium Economy. Britain Uncovered – You don’t need to be a king to find the hidden gems of England, Wales and Scotland. Uncover Britain’s legends and lore – from bustling squares to peaceful pastures, from classic castles to quaint cottages, and crashing waves to sleepy lochs. On this new tour, travellers will explore Exeter, get to know the locals in Widecombe-in-the-Moor, wander around Tintern’s stunning scenery and much more. Hidden Treasures of Southern England – Where do Londoners go to escape the hustle and bustle of the city? For centuries, they’ve headed to the calming hills, the soothing hot springs and the solitude of the seaside resorts of Southern England. On this new tour, travellers can follow in the footsteps of royals and writers to enjoy the great getaways only the locals know while visiting Bath, Cotswolds, Tetbury and the Isle of Wight. 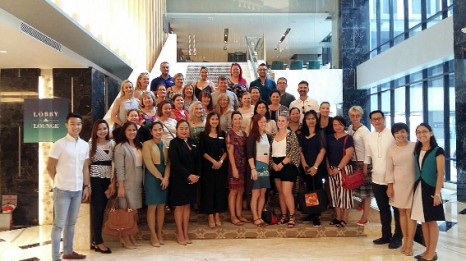 The Philippine Department of Tourism invited 32 travel managers from Australia, plus a representative from Philippine Airlines, to participate in its inaugural reverse roadshow in Cebu and Manila from 14-20 October 2018. This new project invited pre-qualified, independent travel managers to the Philippines, to offer essential information on tourist destinations and tours, and provide the ability to build relationships directly with travel suppliers based in the Philippines. 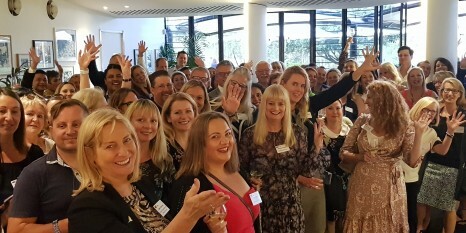 The majority of the group consisted of managers from: MTA Travel, iTravel and Travelmanagers, with managers also in attendance from boutique travel organisations, PAL-Rasko, Iconic Journeys, Concept Travel, The Travel Collection and 5 Oceans Travel. The reverse roadshow had two business to business sessions (one in Cebu and one in Manila), providing the group of independent travel managers with access to a larger pool of tourism suppliers that are DOT-accredited in these cities. Score a spot special on South & Central America tours in February and March 2019! The Andes Mountains. The Amazon Jungle. The beaches of Playa del Carmen and Copacabana. The ancient ruins of Chichén Itzá, Tikal and Machu Picchu. What do all these have in common? They’re just some of the amazing sights to see on Bunnik Tours South & Central America small group tours. If your clients want to experience the incredible history and diverse cultures of this fascinating continent, there’s no time like the present! We’ve just released a spot special with up to $500 per person off selected travel dates between 25 February and 31 March 2019! On a Bunnik Tour, we love to show our guests all the major attractions, but pride ourselves on the fact that our small groups of 20 guests or less allow us to get off-the-beaten-track and really connect with the people, places and culture. There’s also ample time for independent discovery as we realise some of the best experiences come when wandering away from the group and making your own discoveries. Save $688 on Intrepid’s 10-day Peru: Bike, Climb and Hike trip departing 27 December 2018. Climb, bike and hike through Peru and discover ancient civilisations on the Inca Trail. On this trip, travellers will explore the remarkable land of the Peruvian Amazon, climb the via ferratas in Urubamba, venture out on the Quarry Trail to discover the sacred valley of the Incas, take a mountain bike trip through local farms and explore the rural lands of Peru. A highlight for travellers on this trip includes camping underneath the stars in the Andes. Save $534 on Intrepid’s 15-day Best of Bolivia and Argentina trip departing 28 December 2018. Travel from Bolivia down to Buenos Aires and experience the best of South America. 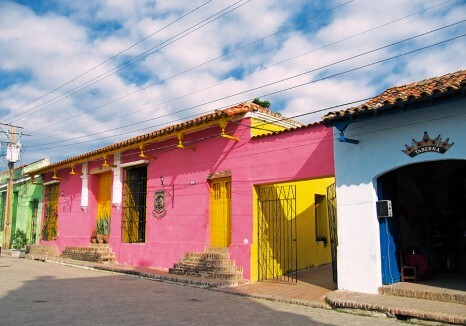 On this trip, travellers will explore the diverse landscapes and cultures of South America, enjoy free time in Sucre to discover its elegant colonial architecture and spend a few days in Buenos Aires, witness the eclectic neighbourhoods, theatre scenes and indulging in South American food and wine. Save $513 on Intrepid’s 12-day South India Real Food Adventure trip departing 21 December 2018. Enjoy a real food adventure in the South of India from Bangalore to Kochi. On this trip, travellers will taste the true heart of India through the ingredients, flavours and tastes of Karnataka, Kerala and Tamil Nadu, uncover the beauty of the Western Ghats and learn about Chettinad cuisine in an impressive nineteenth-century mansion. 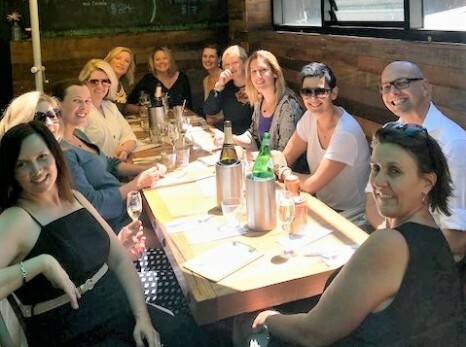 Maxine Wiggs—founder of freelance travel industry talent hub, Resource—and Meg Salter from Auridian Training, hosted a Christmas lunch for industry ‘orphans’ in Sydney last week. A dozen sole-operators and contractors joined Wiggs and Salter for a festive catch-up at The Rook Rooftop Bar and Restaurant. Resource wishes the travel industry a joyful Christmas full of fun and festivity, and a new year that sparkles with freelance talent on demand. Hold Everything. Contiki is having a Europe Flash Sale! Enjoy an extra 5% off a huge selection on European Discoverer and Iconic Essentials itineraries. That’s up to 15% off for traveller’s savvy enough to book before 6 January. 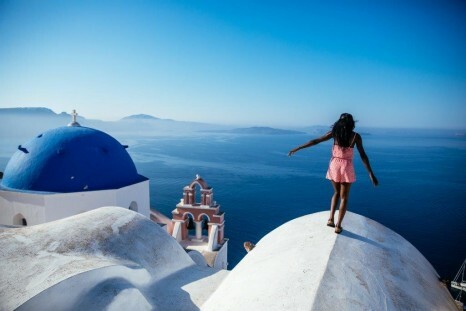 Enjoy these savings on the 13 day Greek Island Hopping trip, where travellers will enjoy three night stays in Athens, Mykonos, Santorini and Ios. They’ll have heaps of time to explore charming fishing villages, shops, volcanoes and spotless beaches on this more relaxed itinerary. Starting from $2,597* per person, twin share (including discount). This offer is on sale now until 6 January 2019 for departures between 1 April 2019 and 1 April 2020. For more information or to book call 1300 266 845 or visit www.contiki.com. Enjoy flights from $899* return to Europe & Britain on select trips with Insight Vacations! Enjoy these savings on the 8 day Irish Elegance. This trip showcases the very best sights and scenery of Ireland including the Wild Atlantic Way and includes a night at the magnificently restored Ashford Castle. This itinerary also takes guests through Cashel, Blarney, Killarney, Cliffs of Moher, Galway Bay and Cong. Starting from $4,547* per person, twin share (Including flights). This offer is on sale now until 15 December 2018 for departures on 14 & 21 April 2019. Other departure dates available however prices will vary. For more information or to book call 1300 727 767 or visit www.insightvacations.com. Receive 2 FREE nights + A Culinary Experience worth $779* per couple when your client books the 13 day Handpicked Peru itinerary. This adventure is a comprehensive journey through the highlights of Peru, the cultural heart of South America where guests travel through Lima, over the Nazca lines before continuing on through Arequipa, Colca Canyon, Cuzco, Sacred Valley, Machu Picchu and Lake Titicaca in Puno. Starting from $5,195* per person, twin share (savings included). This offer is on sale now until 30 December for travel between January and May 2019 (not including departures on 1 & 2 January, 15-21 April and 1 May 2019). For more information or to book call 1300 363 055 or visit www.adventureworld.com. Enjoy savings of 5% with Trafalgar’s Early Payment Discount. Enjoy these savings on the 10 day Secrets of the Rockies and Glacier National Park itinerary. Guests will traverse undulating, unforgiving fields of ice, cross the Continental Divide in vintage style and follow in the footsteps of brave buffalo runners as they travel through Calgary, Fort Macleod, Waterton Lakes National Park, Glacier National Park, Lake Louise, Jasper, Banff National Park & Banff. Starting from $5,343.75* per person (discount included). This offer is on sale now until 28 Feb 2019 on select departures between 1 August – 19 September 2019. For more information or to book call 1800 787 878 or visit www.trafalgar.com. Save 10% on AAT King’s Guided Holidays in Australia when you book and pay in full by 31 January 2019. Enjoy these savings on the 16 day Western Wonderland travel itinerary. Beginning in Perth travellers will first head inland to Wave Rock and Kalgoorlie before heading to the stunning southern WA coastline from Esperance to Monkey Mia through Albany, Margaret River, Freemantle, Geralton and Kalbarri. Starting from $5,243* per person, twin share (discount included). This offer is on sale now until the 31st of January 2019 for select travel dates between 1 April 2019 – 31 March 2020. For more information or to book call 1300 556 100 or visit www.aatkings.com. Save up to 20% on select 2019 sailings with Uniworld’s Our Best Offer promotion. Clients can enjoy these savings on the 10 day – Highlights of Eastern Europe luxury river cruise itinerary. An ideal voyage for travellers seeking new, off-the-beaten path destinations, guests will follow a path forged by crusaders, kings and conquerors through Mohács, Batina, Vukovar, Belgrade, Golubac, Vidin, Rousse and Bucharest across Hungary, Serbia, Croatia, Romania and Bulgaria. Starting from $5,919* per person, twin share (including discount). This offer is on sale now until 31 December 2018 and reflective of departure on 12 August 2019. Other departure dates are available, prices may vary. For more information or to book call 1300 780 231 or visit www.uniworld.com. Save 10% on Busabout’s Asia Trips! This includes the 16 day Vietnam and Ha Long Bay Adventure where travellers will spend marvellous moments sailing through the karst scenery of Ha Long Bay, challenge their taste buds by savouring the spicy, strange, and fresh flavours of Hanoi’s street markets, and explore scintillating caves on this adventure through Hanoi, Ho Chi Minh City, Ha Long Bay, Mai Châu, Phong Nha – Ke Bang, Huế, Hội An, Dalat, Hue & Hoi An. Starting from $1,683 per person, twin share (discount included). This offer is on sale now until 31 January 2019 valid for 2018/19/20 departure dates listed in the 2019 brochure. For more information or to book contact http://www.busabout.com or call 1300 287 226.